Hello, Roller Derby fans! We hope you can help us kick off our 5th season by joining us for our season opener on February 7th! Rodeo City Rollergirls will take on the ladies from the Palouse River Rollers! 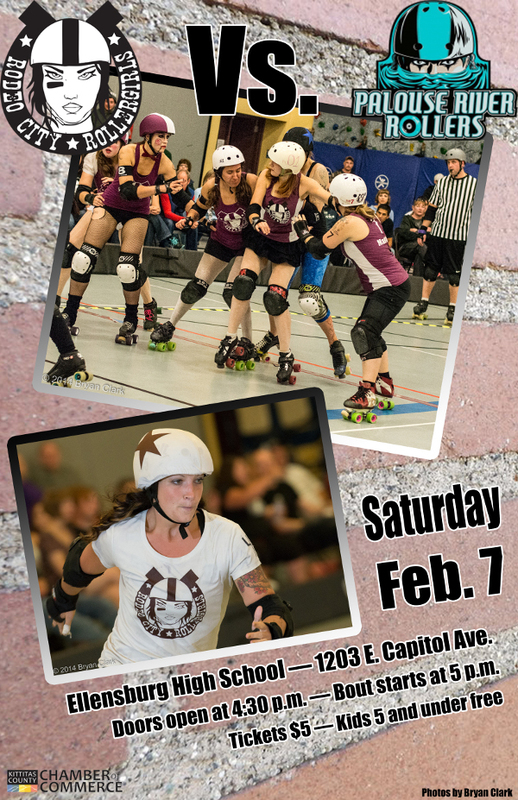 Then our Rodeo City Junior Rollers take on Northside Nightmare Junior Roller Derby in a mini bout. The good times get underway at 5pm, at Ellensburg High School.